This winter holidays we went to the famous climbing area: Potrero Chico in Hidalgo, Nuevo Leon, Mexico. As we lived there previously for a year, it was a return to old friends, our dog Thunder, and of course beautiful limestone cliffs. We climbed almost everyday onsighting and redpointing some great routes. There were many climbers there, often cluttering up the long multipitch routes. Many beginner climbers seem to flock to the Potrero at the chance of doing multipitch routes which are fully bolted. 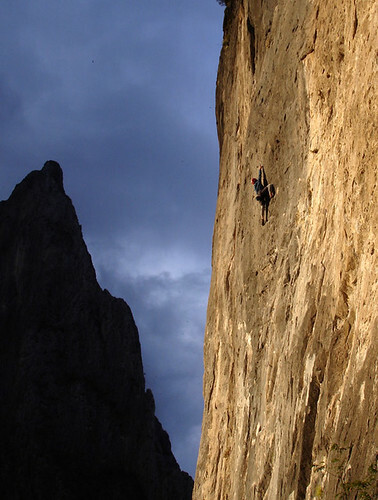 The seriousness of the climbs are underestimated and often result in dangerous epics. Everyday we heard and saw repeated rockfall. Perhaps they were due to the increased climber traffic, recent rainfall, or some people speculate that the nearby quarry's blasting is somewhat responsible. When we left the Potrero, I was relieved that there had been only half a dozen injuries and no deaths. 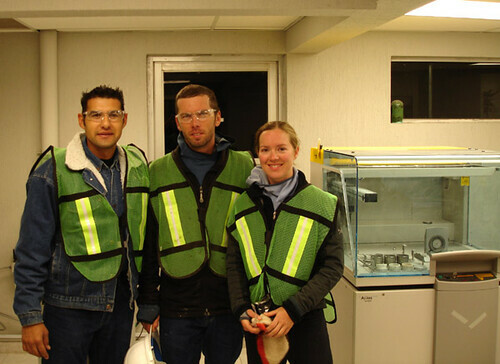 Our good friend Jose Juan works at the Cemex Plant in Hidalgo. We were fortunate to have an interesting tour through the newly reopened concrete factory. This factory was the first established concrete factory in Mexico and was opened exactly 100 years ago.